NIST Radio Station WWVH as it sounded in the 1980s. To contrast with other recordings of the WWVH station ID, note that announcer Jane Barbe does not say (her now-famous) “Aloha!” at the end of this version. 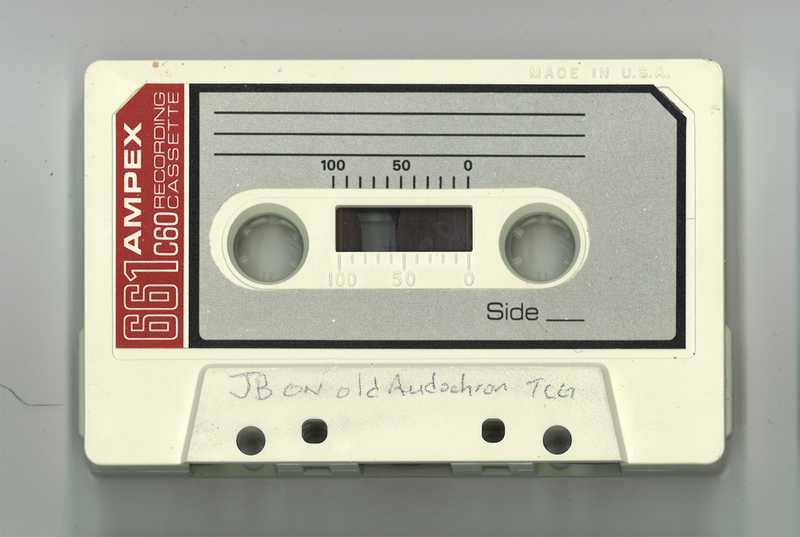 This recording was found at WWVH in 2015 on an undated cassette labeled “JB on Old Audichron TCG” (which stands for Time Code Generator, the device which reconstructs and plays back Jane’s voice over the air). As such, the precise broadcast year is not known, but it is consistent with the voice and broadcast format of the 1980s, until the introduction of the short-lived digital voice in 1991. An excerpted version of this recording is found on "At the Tone: A Little History of NIST Radio Stations WWV & WWVH." This unedited version is being shared by special arrangement for the Shortwave Archive. Sad for the news, the closing of WWV is like close a park, a comunity place where scientifics and enthusiast of radio could learn and experiment not only about time, radio propagation too. I not have much money for bought radiofrecuency equipment for repair or make my own radios, i use WWV for that. To go to the future it is not necessary to destroy the past, I'm teaching to children about science and technology and when talk about radio share with they the listen of WWV with old radio receiver (BC-548Q), for they the sound of ticks and the history about radio and time is a amazing topic. I wrote this review (in Spanish) about WWV for those SWListeners and Radio Amateurs who do not spoke English,--I think can be useful. I hope radioamateurs of U.S. can reverse the decision. CHU Canada Time Signal station at 1005 UTC. Broadcast at 10 kw from Ottawa. Received in Sydney, Australia, using a Degen DE1103 and a 40 meter longwire.